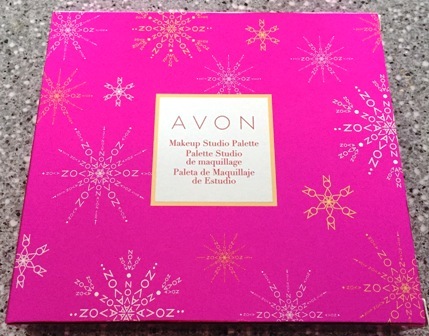 Sometimes we need just a little more makeup choice than what a regular palette offers and while we see a lot of gift sets for the holidays, these blockbuster makeup kits will give you more options than you’ll know what to do with. 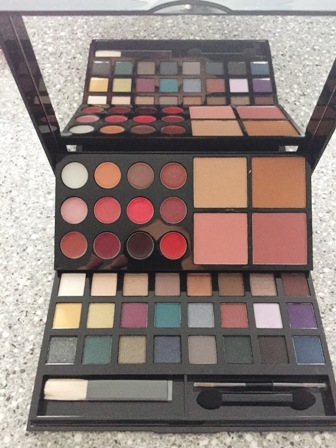 This makeup palette doesn’t look all that big in the box but when you open it up there’s 24 eye shadows, 12 lip glosses, 2 blushes, 2 bronzers and a couple brushes. 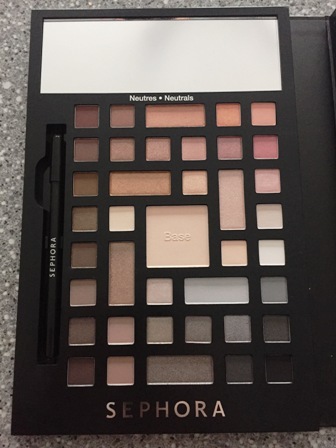 The colour options are great and give you lots of choice and while I would probably use other brushes than the ones in the kit, the fact that they’re even in there is great. 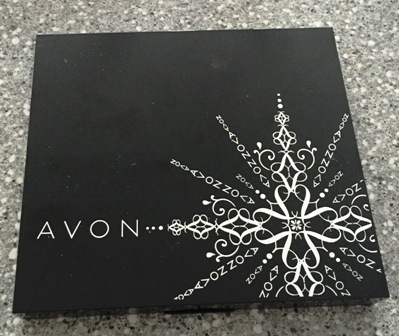 This is a great gift for someone just starting to use makeup or don’t want a lot lying around. It’s also small enough that it’s great for travelling. 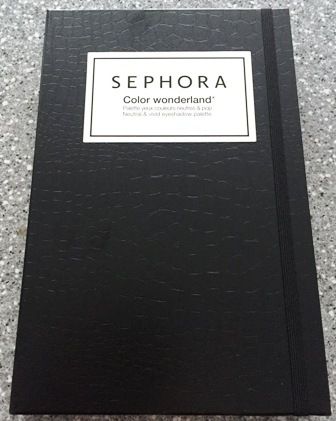 I always look forward to seeing what huge makeup palette Sephora will pull out every year. This year’s Color Wonderland is for every eye shadow junkie you know. 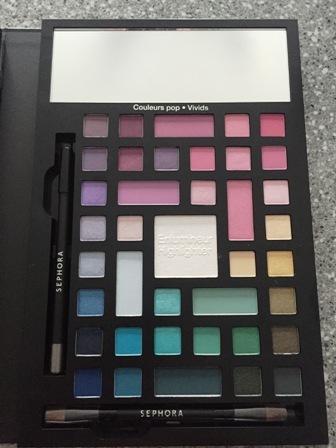 The 78 eye shadows, 2 eye pencils and a dual-sided brush are split up into a neutral side and a vivid side. The neutral side is perfect for day looks or a neutral smoky eye. The vivid side is great for experimenting with colour and there are literally endless combinations between both sides. The packaging is great, nothing is going to pop apart like previous years and it’s folded into a slim book that makes it easy to carry or store. Another added bonus is that the shades you’ll use more often are significantly larger than accent shades. 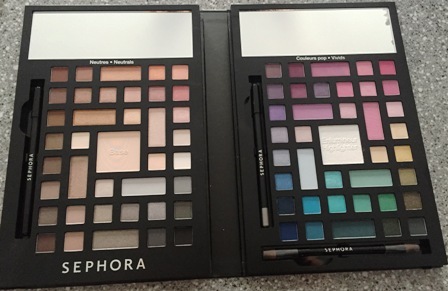 If you know anyone that loves makeup and really wants to play around, one of these palettes would make the perfect gift.